I absolutely love this. 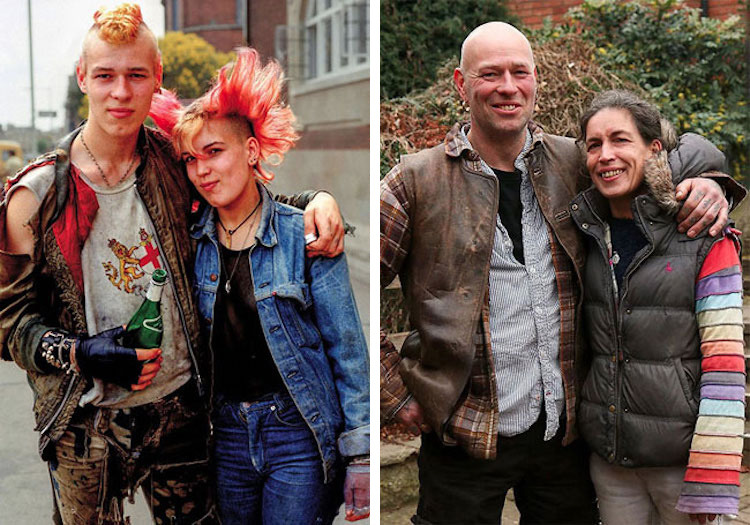 Chris Porsz took photographs of people 30 years ago, and has spent the last 7 years tracking them down and recreating the pictures. You can read briefs on the people’s lives on Metro. I love this song. It is one of those tunes that I revert back to every few weeks—I will never get sick of it. Kaleo, can you just come to Denver so that I can finally see you live? Please, thanks. This episode is about multiple people who take turns “fronting” a body. The members all have unique personalities, gender identities, and interests and all reside in a single body. They describe themselves as part of the same system, calling their living situation “plural” or “multiple.” Psychiatrists may deem these identities as part of Dissociative Identity Disorder, though members dislike this diagnosis as it paints their multiplicity as a burden or defect. This was one of the most interesting podcast episodes I have ever listened to. I am ignorant of multiplicity—hell, I never knew “multiplicity” was a term, I thought the label, albeit offensive to some, was always “identity disorder"—so it was eye opening to hear about plural living from the perspectives of the system members. LOVE this one. Give it a listen. Got any links to share with me? Throw in the comments below! Have a good weekend, ya'll!